Today our guest blogger is Asaf Barzilay, VP of products from Extreme Reality (www.xtr3d.com). They build the Extreme Motion SDK that enables developers to incorporate motion control into their apps. They’ve also released Pandamania, a dancing game that uses this technology. In this post, Asaf talks about the importance of sound, their experience integrating the Dolby Audio API into their platform, and how easy it was to port this experience to Kindle Fire tablets. Extreme Reality enables people to interact with computing devices through their body motion, without touch, using only a 2D camera. We are the only company to provide full-body, software-based, motion analysis and control for any computing device or operating system that supports a standard camera. The Extreme Motion SDK enables developers to create a wide range of experiences (applications, games, security solutions and more) that break the physical barriers of current hardware-based technologies. Our technology works seamlessly with nearly all consumer electronics and on most operating systems: Windows, iOS and Android. Patented worldwide, Extreme Motion is already in use by game developers for various operating systems and devices, from AAA publishers to indie developers. Pandamania is a dance game based on Extreme Motion SDK, which is an image-processing engine that recognizes the player’s skeleton in real time, using the device's integrated camera. 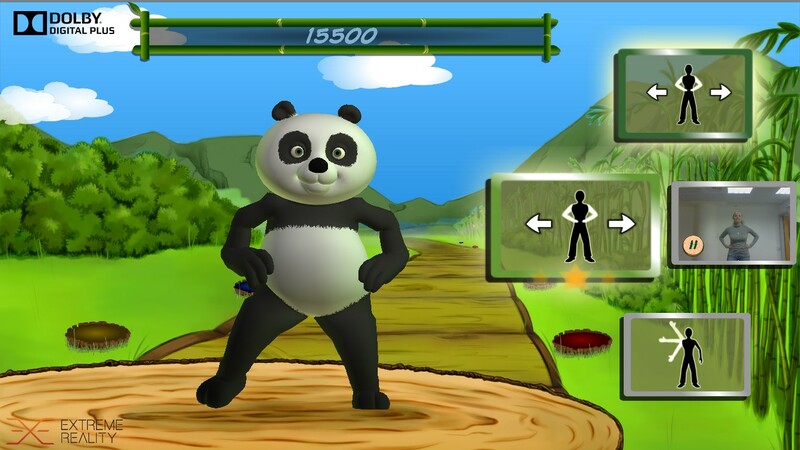 The player imitates the panda dance moves, and the more accurate the imitation, the more points earned. At first, Pandamania was intended to be a simple example app to showcase accuracy, durability and potential. The first thing we noticed about this fun, fast paced dance game is that people instantly connected with the panda; they just loved the animation and effects. The music was appealing but not a major part of the game’s allure. Prior to Kindle Fire, Pandamania had been ported on most operating systems, such as Windows, iOS and Android. Making the game available on Kindle Fire seemed like the obvious next step as Kindle Fire is one of the 3 leading devices in the tablet category worldwide. The implementation was simple, since Kindle Fire is an Android based device. Within two days we arranged the overall look and resolution. Then, we looked for a tool that would create a unique advantage for the game on the Amazon Appstore. We discovered Dolby Audio API, a brilliant way to enhance the music aspect of the game. The Dolby Audio API for Android provided a significantly noticeable improvement to the background music and game sounds. As the player needs to stand ~6 feet away from the device for the camera to see his body, a good quality sound is a crucial element for a more immersive and fun experience. We used Unity3d as the development platform for the game, as it is cross platform and easy to work with. Both APIs (Extreme Motion SDK and the Dolby Audio API) are easy to use plugins which do all the heavy-lifting behind the scenes and provide a simple external API for the game developer, allowing him to enable gesture-recognition, and different sound profile enhancements with just a few rows of code, and no need to write any native device code. "The integration of Dolby Audio API with the Unity3d based game "Pandamania" was simple and intuitive. As this is a dancing game, the quality of the music and sounds was a very important. By using the Dolby Audio API, the quality of the sound was considerably enhanced, leading to a far better gaming experience"
Thanks to Asaf and the team at Extreme Reality. They’re building some fun apps and a platform that enables some really engaging experiences. Give it a try and see how you could enhance your apps. Let me know if you submit an app using Extreme Reality or Dolby Audio. Nextpeer provides a platform to add multiplayer support to your games. It supports the asynchronous and synchronous game play modes you’d expect, peer to peer messaging and, my favorite, it has the ability to let players compete against previously recorded sessions – perfect for a quick, simple, engaging experience. Over the past few months, we’ve been talking a lot about how to build great customer experiences with high engagement to increase retention and monetization. We’ve discussed new capabilities and tools and how apps like Soundtracker, the Sandbox and edjing have seen the benefits. In this video, the team at Nextpeer will walk you through a demo and the steps that 2048 and other games have taken to add multiplayer support to improve their overall experience, engagement and retention. Ready to test your app on the Amazon Fire TV? This video shows you how to enable the device for ADB debugging and side load your app. You can learn more about developing for the Amazon Fire TV here and get the SDK here. Today, we’ll be talking to Executive Producer Starr Long about crowd funding, crowd sourcing, designing for mobile and his latest game, Shroud of the Avatar. Are crowd funding and crowd sourcing really that effective and what’s the catch? In this article, Starr elaborates on the different criteria and the processes that he frequently uses, in order to make crowd sourcing successful. Starr Long has been making videogames for twenty years. Starr started his career in 1992 with Richard Garriott at the legendary studio Origin Systems, where he was the Director of Ultima Online, the longest running MMO in history. In 2010, Ultima Online was inducted into the Online Game Developers Conference Hall of Fame, the first MMO to be so honored. In 2000 Starr co-founded Destination Games with the Garriott brothers, and later that year it was acquired by NCsoft. 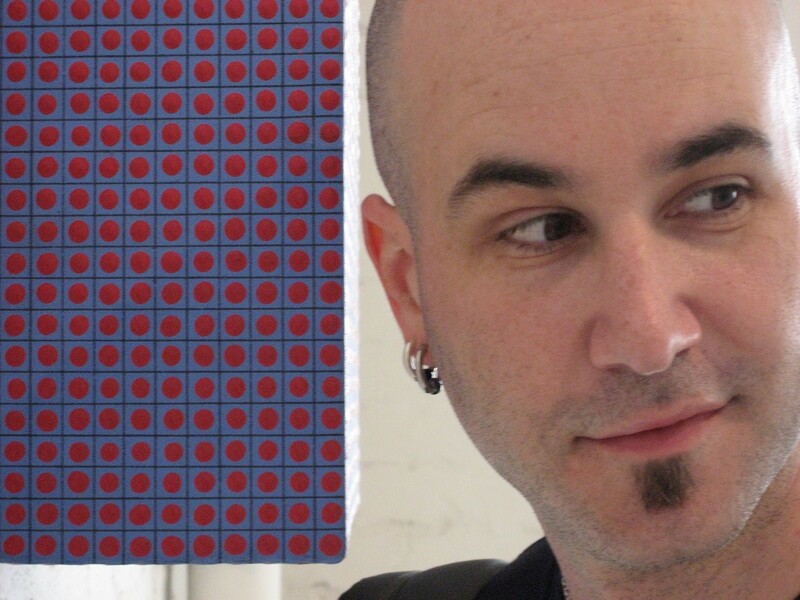 In 2008 Starr was named one of the Top 20 Most Influential People in the Massively Multiplayer Online Industry by Beckett Massive Online Gamer Magazine. In 2009 he joined The Walt Disney Company as an Executive Producer, where he produced the Disney Parent App for Facebook, 8 learning mini-games in Club Penguin, Club Penguin mobile 1.0, 5 Educational Game apps for iOS, and the Disney Connected Learning Platform. He is now Executive Producer on the crowd funded and crowd sourced RPG Shroud of the Avatar at Portalarium. He also has his own video game consulting company: Stellar Effect. Starr thanks for taking the time to talk with us. The Amazon Developer blog is focused on helping mobile app developers take an idea and turn it into a product that people love. To that end we’re always trying to build services that help them, share best practices that we’ve seen or share insights from the leaders in the industry. I see that you’re working on a new MMO – The Shroud of the Avatar. You have built several major MMOs now and I’m curious to know where you’re taking this one. Shroud of the Avatar: Forsaken Virtues is a computer role playing game being created by Lord British (aka Richard Garriott), creator of the genre defining Ultima series of computer games, me (Starr Long), director of Ultima Online, and Tracy Hickman, author of the Dragonlance series. It combines rich story, like those of the single player Ultimas, with deep and varied multiplayer experiences, like Ultima Online. Players will adventure in an interactive world where their choices have consequences, ethical paradoxes give them pause, and they play a vital part in weaving their own story into the immersive world and lore surrounding them. Play options will include solo, friends only, or open multiplayer via the Selective Multiplayer system. Players can specialize in a wide range of combat and non-combat skills, provided by a robust, classless skill system, and full-featured crafting and housing mechanics. Shroud is crowd funded and that allows the developers to work directly for, and with, the player, versus working for a large publishing corporation. Shroud is also crowd sourced so players can submit Unity compatible content (art, sfx, music, world building, etc). Once submitted content is approved the submitter can choose to be compensated in real or virtual currency. We also do crowd sharing where we do things like improve content we buy from places like the Unity Asset store and then give the improved versions back to the developer for free, we just ask that them say “As seen in Shroud…”. Built using the Unity Game Engine, Shroud of the Avatar will support Win/Mac/Linux. Backers have early access to the game once per month currently. You’ve done some interesting things with the classless system and the variety of magic in the game. How do you get the right speed of progression and the right balance of power? What do you do before you launch vs after you launch? You’ve raised about $4 Million through crowd funding ($1.9 Million with Kickstarter, $2M on the website). That’s a different way to raise funds and there are a lot of indie studios that would like to break through that way. You raised a lot of money in a few short days, and then even more over the following year. What has been your marketing and sales strategy? Do you believe that you need to “bring your own crowd” to Kickstarter? What’s the one best thing you did with your Kickstarter and what’s one thing you’d never do again? · Daily Standup Update: We actually post the notes from our daily standups to our forums. So every day our backers can see exactly what each person on the team is doing. o Art Assets representing the rewards promised to backers. This means building the game model and putting it in the game. This content includes player houses, pets, clothes, tools, etc. Release Schedule: We publicly broadcast our monthly releases including details about what each month’s release will contain. These schedules detail out one quarter at a time (3 months). Forums & Internet Relay Chat (IRC): We have forums and IRC where our backers can interact with each other and the developers. Every single day at least one of our team is either on the forums or in chat talking to the players answering questions or posting updates about schedule, game designs, etc. I’d like to better understand your perspective as a producer. When you’re looking at a game for the first time, what do you think about? Can this be done at all? Is this project even feasible? Many times (especially with either inexperienced teams or naïve executives) games are way over scoped beyond what is actually possible. If the game can be done can it be done either quickly or affordably? A game that either takes too long or costs too much to make causes the cost of success to be too high. This can doom a project before it even reaches customers. Will this game be fun? This should be super obvious but many times the focus will be too much on monetization or a cool license property and this gets lost in the shuffle. Do I know enough about this type of game to make it successful? If I don’t can I learn about it fast enough? Am I passionate about this game? Often producers will try to make a game they either aren’t familiar with or passionate about. When that happens the team and the product invariably suffer for it. Let’s talk about the process of building a game. What does your product cycle look like? How do you get to something that’s fun? When building games there are a ton of trade-offs - could you give an example of a trade-off that you had to make and how you were still able to make a great experience? On our current project we started by creating an overall plan for the entire project cycle that we painted in very broad strokes. From there we created a 3-4 month plan that outlines what we want to build for that quarter. We then divide that into monthly releases so that puts us on a 4-5 week cycle. The first 2-3 weeks are about putting in as much content as we can and then the final weeks are all about polish and testing. Because each of those releases go directly to our players (even though we are still in pre-alpha) we get immediate feedback on what is fun and what isn’t. We love this structure because it really keeps us honest about what is good or not. It is easy to fall in love with your own ideas and lose some objectivity. After each cycle we make sure to modify the next cycle’s deliverables so we can react to feedback from the users. There are always tradeoffs that have to be made but as long as the tradeoff doesn’t sacrifice the overall vision of the game or reduce the fun factor then they don’t have to be damaging to the product. You’re one of the rare people that have done a lot with both MMOs and with mobile games. What are your top 3 tips for mobile developers? Business: Because we have so many tools now that allow us to make games that means anyone can make games (especially on mobile). This has resulted in an explosion of content and it is increasingly difficult to get recognized. This means it is no longer enough to know how to make good content…you have to know how to make money, too. This means you need to know what are the best monetization models for your product, how you can manage costs to acquire customers, etc. Community: Figure out a way that your project can build and maintain a community rather than just be a standalone product. Thank you Starr, we appreciate the time and it’s exciting to hear your perspective. Readers, if you would like to help make Shroud of the Avatar through funding and/or making content (art, music, sfx, etc.) or in play testing in the alphas, then please visit their website, www.ShroudOfTheAvatar.com for more information. Since March 1st, we have been guaranteeing developers with qualifying apps a $1.50 banner CPM for serving mobile ads through the Amazon Mobile Ad Network. We’ve already seen thousands of developers participate in the promotion and you can too. The $1.50 CPM promotion is ending on April 30th. Integrating the Amazon Mobile Ads API is straightforward. According to YouMail, it took 2 days while working in parallel on other features. 1. Download the latest version of the Amazon Mobile Ads API here. 2. Integrate the Amazon Mobile Ads API in your qualified app and start sending us ad requests. If you don’t have an app on Amazon yet, it’s easy to get started. Test your app using our updated testing service and submit it to us for free. 3. Earn $1.50 for every 1,000 qualifying impressions displayed on the app during April 2014 (up to 2 million impressions per app). * Existing apps already sending ad requests do not qualify. Existing developers who integrate the Amazon Mobile Ads API into another app for the first time will qualify. Qualifying apps may be distributed through other Android stores as long as they are distributed through Amazon. In addition to this promotion, using the Amazon Mobile Ads API in your app brings you a step closer to meeting the Appstore Developer Select program requirements, which gives you enhanced merchandising on the Amazon Appstore, Coins benefits and more. Click here for more details about the Mobile Ads CPM Boost promotion. To learn more about adding the API in your app or game, see the online documentation or our quick start guide.